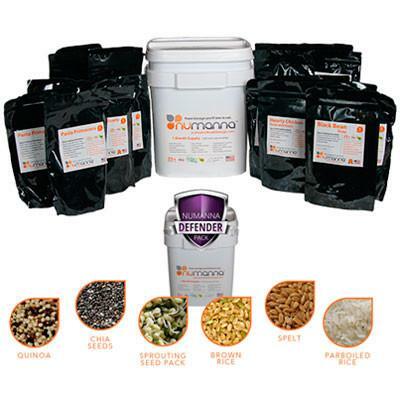 The NuManna Family Bug-In Package is a great affordable pack that is just a little bigger than the triple combo. In the Family Bug-In package you will get 10 regular family packs and 3 regular defender nutritive packs or a total of 2052 servings! It will feed 1 person for 1 year, 2 people for 6 months, or 4 people for 3 months.